Super 8 & 8mm Cine Film to DVD or File, the professional way. We transfer all formats of 8mm cine film transferred to DVD or Digital editable file from as little as £5.99 per reel. Our film and video transfers are second to none. See our customer reviews and testimonials. We take pride in what we produce for our customers and our customers simply love our results. Our home page will tell you more about the benefits of using our service. 8mm Cine Film Transfer formats include 8mm, Reg 8mm, Std 8mm, Double 8mm, Polarvision, Single 8, Super 8. All reel sizes of film can be transferred and we will be able to offer discount for larger quantities. If you would like to see samples of our Cine Film Transfer, please see our YouTube Channel or click here to see our samples page. If you are looking for Archive services, please click here. We also transfer other popular formats of Cine, including 9.5mm Cine Film to DVD or Digital File and 16mm Cine Film to DVD or Digital File. So you have some Cine Film but are unsure of the format or reel size? Have a look at our Cine Film Guide which will give you lots of information. You may also look at our frequently asked questions. You can also view samples of our Cine Film conversions here. Sound Cine Film Transfer Super 8 & Single 8mm. The original sound track can also be transferred from Super 8 SOUND cine film. The process involved in transferring sound super 8 film is different to that of silent super 8mm film and because of this, the cost of transferring sound film is more expensive than silent film, but still from as little as £11.99 per reel. The images are captured using frame by frame capture, therefore giving the best possible image. The soundtrack is then captured by running the film through a projector to capture the audio track. In conclusion, once the audio and video are captured, the two are then re-synced back together. If required, we can also scan your 8mm cine film transfer in High Definition. Please contact us to discuss your requirement. 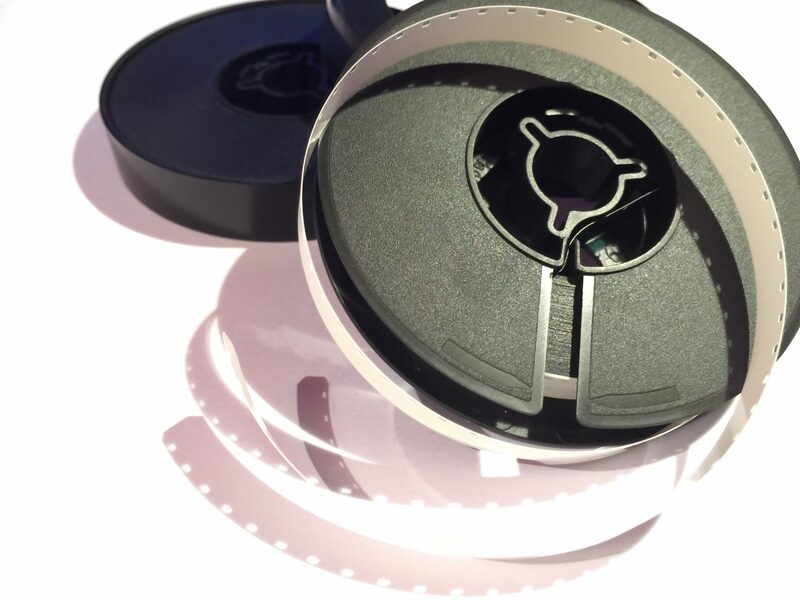 The pricing for HD 8mm Cine Film transfer starts from just £9.99 per reel. Full prices can be found on the Pricing page. 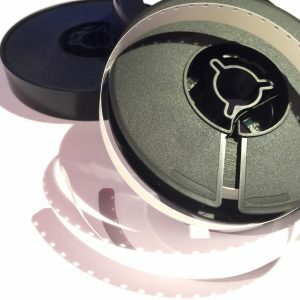 The difference between Cinefilm2dvd.com and other service providers is that we care about your films. Rest assured that your 8mm Cine Film Transfer is treated with the utmost care. Most of all, nobody knows how precious these films are, more than ourselves. Please do not assume that because of our highly competitive prices, you are going to get a substandard product. You are not. The transfer will be done digitally and involves no analogue sources whatsoever and therefore gives a sharper image. Finally, many people ask if we use a projector to project onto the wall and film the image. This is not the case. We use frame by frame scanning which eliminates flicker. Flicker is caused by the shutter blades on the projector. Because we scan the film frame by frame, it eliminates the use of a projector, the projectors shutter and therefore the flicker. Your films are pre treated before transfer with a film preserver/cleaner which also serves to give the film extra sparkle. If you wish to discuss any questions or concerns you may have about any part of the process of the 8mm Cine Film Transfer, please do not hesitate contact us or visit our frequently asked questions. For details of how to order please see our Ordering Page. Sprocket holes are located running along one edge of the film and they are rectangular in shape. All 8mm Cine Film for home use was silent with no magnetic sound strip present. 8mm cameras did not have the ability to record sound. (Some avid enthusiasts would manually add a magnetic sound strip once they had received films back from the developers, so that they could add voice overs or background music. However, this was quite rare. Film could be either black and white or colour, but was more commonly colour than black and white. The normal projection speed for 8mm Cine Film is 18fps (Frames per second). The reel sizes are as follows; 50ft, 200ft, 400ft, 600ft, 800ft, 1200ft & 1600ft. To determine the size of reel you have, simply measure the diameter of the reel itself across from side to side in inches. A 3” reel holds approximately 50ft and has a running time of approximately 4 minutes. A 5” reel holds approximately 200ft and has a running time of approximately 15 minutes. A 7” reel holds approximately 400ft and has a running time of approximately 30 minutes. A 8” reel holds approximately 600ft and has a running time of approximately 45 minutes. A 9” reel holds approximately 800ft and has a running time of approximately 60 minutes. A 12” reel holds approximately 1200ft and has a running time of approximately 90 minutes. When purchased from a chemist or photographic shop, Super 8 Film was sold in a square plastic cartridge and the film itself was 50ft in length. The cartridge is standard standard design used by all film manufacturers (Kodak, Agfa, Boots etc), to ensure it fits in to all makes of Super 8 cameras. The only fly in the ointment to this standard, was Fuji. Fuji decided it would be a good idea to have their own format and they produced Fuji Single 8 Film. Single 8mm film was still purchased in a cartridge, but this cartridge differed in shape to the normal design of a Super 8 cartridge. It would only fit into Fuji’s own Single 8 cameras. Fuji produced Single 8 projectors to play the films on. It would be looked upon, that Fuji wanted to “tie” film makers into using their products from the filming to projecting stage. The flaw in their plan, is that the film inside their cartridges, is in fact ordinary Super 8 Film and any brand of Super 8 Cine projector will project it. Polarvision Cine Films are quite unique. The film developes instantly inside the cassette as soon as it is shot, similar to Polaroid photographs. The film gauge inside the Cassettes is in fact Super 8. Normal projection speed for Super 8 Film is 18fps (some later silent and sound cameras could film at 24fps). Super 8 film could either be sound or silent and black and white or colour. The most common being silent and colour.